Clean water changes lives, helping to strengthen families and communities. Where safe, clean water flows, villages have more opportunities to prosper. 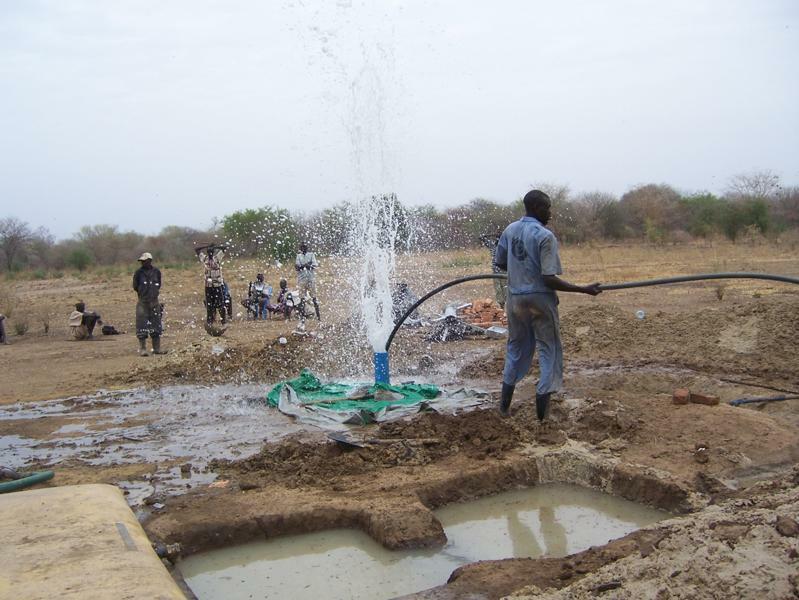 Water for South Sudan's operations teams, based in Wau, work in remote villages in the Bahr el Ghazal region in South Sudan. These isolated villages have extremely limited access to clean water, and often can only access contaminated water. WFSS works with local governments and community leaders to determine the placement of wells. The goal is to create sustainable systems, incorporating well maintenance and training as part of the installation of a well. The drilling season is from December to June. To date, WFSS has drilled over 350 wells. A well takes three to four days to build. Each well pumps approximately 1,800 gallons of water per day and serves anywhere from 500 to 1000 people. WFSS aims to drill 40-50 new wells each year, while also rehabilitating older wells and providing hygiene education. One to two people in each village are trained on simple well maintenance. WFSS connects villages to local supply chains in case spare parts are needed. availability and sustainable management of water and sanitation for all. WFSS strives for sustainability in all we do. When a well breaks, people lose access to a fresh water source. In 2017, WFSS launched its rehabilitation team to repair older wells. The rehab team returns to older wells to repair broken parts and upgrade the cement platforms around the wells. Rehabilitation includes the complete replacement of the platform and animal feeding trough. Rehabbed wells are now repaired using a more robust design standard to ensure many more years of use. WFSS also responds to community requests to repair wells drilled by others, and repairs wells in the Wau area, near our Operations Center. To date, WFSS has rehabbed over 85 wells.